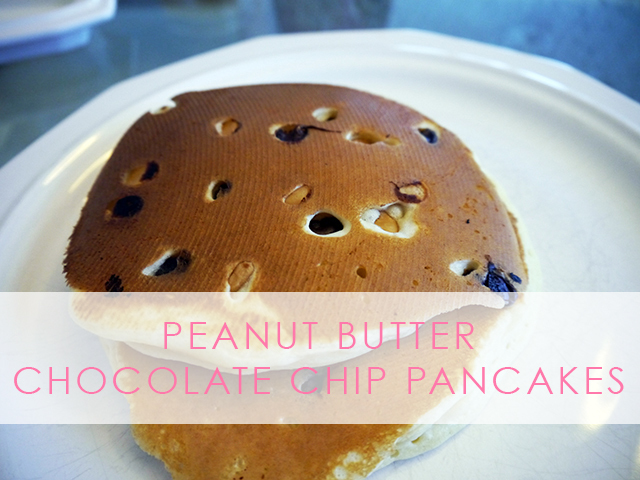 Last weekend I had a stroke of genius and added chocolate and peanut butter chips to my pancakes. Seriously, it's something you should be doing. Footie pajamas optional. Omg, yum! My brother would loveeeee these. Omg, quit. I am officially starving now. 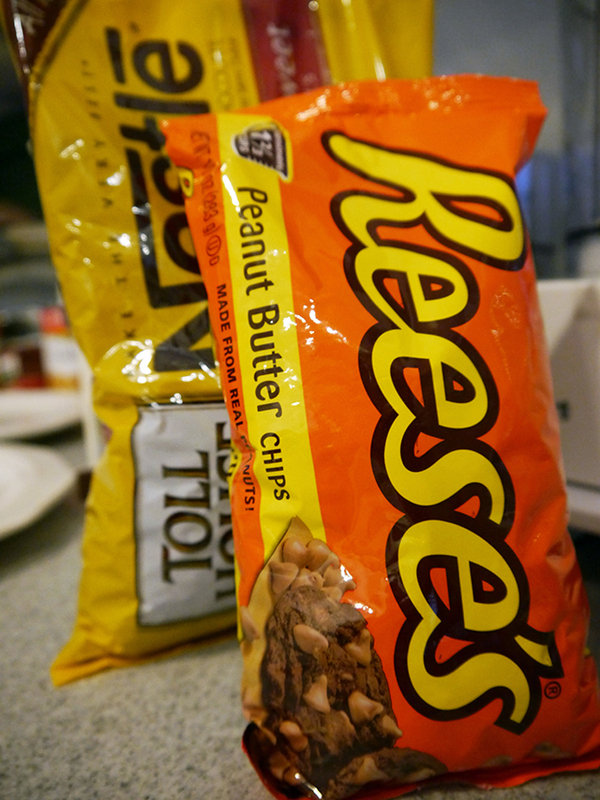 Peanut butter and chocolate is my weakness! Oh sooo yummy! Those look so good. When I first got married, my husband said that he put those on his oatmeal. I was thinking to myself, you can't have chocolate chips and peanut butter chips on your breakfast! That's cheating! Oh, how with time I have learned. holyheaven those look delicious!!!! thanks for sharing! Yummy! These look delicious! I should make them this weekend. Brilliant!!! Looks super delicious, my hubby would love it! Yummers! This sounds like the ideal weekend food :D Om nom!